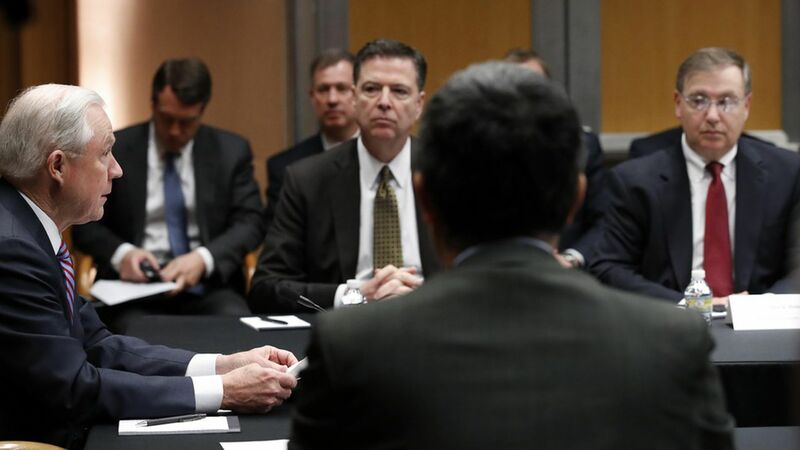 Former FBI Director James Comey told Attorney General Jeff Sessions in February he did not want to be alone with President Trump because it was Sessions' role to protect the FBI from White House influence, current and former law enforcement officials told the NY Times. The conversation between Comey and Sessions took place the day after Trump reportedly asked Comey to drop the Flynn probe, though Comey reportedly did not disclose Trump's request to Sessions. Sessions had not yet recused himself from the Trump-Russia probe. Trump later asked Director of National Intelligence Dan Coats if he could intervene to get Comey to back off the Flynn investigation, the Washington Post reported Tuesday. The FBI declined to comment and a DOJ spokesman said "the attorney general doesn't believe it's appropriate to respond to media inquiries on matters that may be related to ongoing investigations." What's next: Comey is testifying Thursday before the Senate Intelligence Committee.